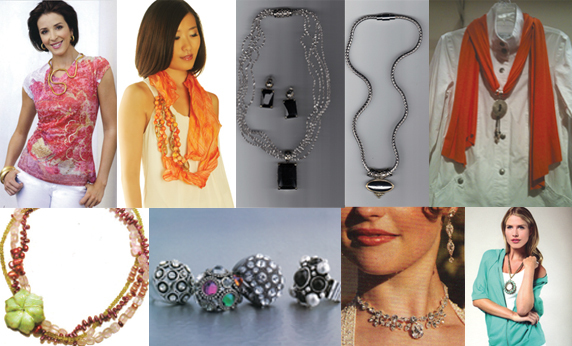 Accessories – The “icing on the cake” adding that perfect finishing touch to any outfit. LADY’S IMAGE has everything you need: Fashion and Designer Jewelry, Handbags, Shoes, Belts, and Scarves. Plus, hundreds of unique apparel brands. “This is the first time in years I have been able to wear jewelry. The Magnetic clasps on the necklaces are easy. Rings that are adjustable are also fabulous for me. My arthritis has swollen my knuckles. I haven’t worn rings until I found LADY’S IMAGE adjustable rings. They are SO comfortable. The cost is affordable so I get many when I’m there. I expressed a ‘Wish you had a Sapphire-like ring.’ To my surprise I got a call in a few weeks to tell me they had a Sapphire-like ring for me. What FUN!” ~ Customer comment. Think about your Mom, is she wearing necklaces? Maybe she needs an easy accessory necklace she can clasp with ease. Sports injuries, arthritic conditions, finger issues all contribute to being unable to wear accessories. LADY’S IMAGE has made a huge effort to accommodate with magnetic clasps on jewelry and adjustable rings to accessorize with ease. LADY’S IMAGE lariat scarves are beautiful, unique and EASY. Just throw over your head and go. Especially nice for the gal that needs easy accessories. Buxom Buddy is for everyone. Designed to protect clothing while eating it slips into an easy zip pouch and is machine washable for convenience. Simply drape your Buxom Buddy at the front of your clothing to protect from spots and spills. Buxom Buddy is great for men and women who are traveling. Wherever you eat – in or out – Buxom Buddy is PERFECT. 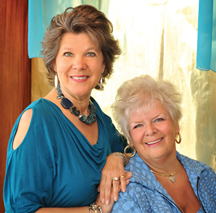 LADY’S IMAGE, your destination for THE BEST OF DELAWARE – CASUAL, BUSINESS, OCCASION FASHIONS AND ACCESSORIES!